Feminine and casual, romantic and cool: this calf-length OSKA skirt with an opaque lining and transparent sheath celebrate the fine art of mixing various styles. A gamble for your wardrobe? Not at all. 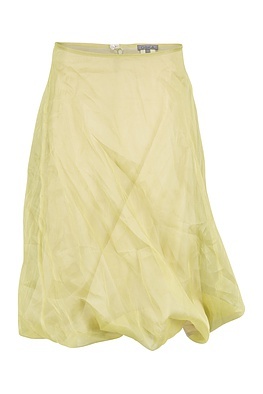 Despite its WOW effect, this skirt is easy to dress and very versatile in combinations. The twisted hemline draws extra attention - and makes the silhouette so striking. A concealed button and zipper fasten this skirt.